Well, as it turns out, it’s unclear how sturdy the milk-bone bond really is: not only do exercise and vitamin D guarantee lifelong bone strength, but in some countries with high-milk consumption, the rate of bone fractures is higher. Additionally, there’s some unhealthy stuff in milk. According to a 2013 CoBank study, “fat content, flavorings, and added sugar [found in milk] have all been viewed with disdain as the country struggles with its child obesity epidemic.” And as the Washington Post reports, the most drastic cuts in US milk consumption have been among the 2-11 year old, and 12-19 year old demographics. But milk hasn’t only soured on kids these days. As products emerge that provide the same nutrients milk contains via more direct avenues like energy bars, powders, and other supplements, milk’s health benefits for the young and old have been rendered more or less moot. Milk is part of the obesity problem. Milk, combined with other dairy products, are some of our largest sources of saturated fats, which are linked to diseases like Type 1 diabetes and prostate cancer. What’s more, a majority of adults can’t properly digest it: in the US, as many as 50 million people are lactose intolerant, including 90 percent of all Asian-Americans, and 75 percent of all African-Americans, Mexican-Americans and Jews, according to the New York Times. A recent Swedish study also found notable correlations between high milk consumption and increased mortality rates for both sexes. So why, then, with all this incriminating data, does the United States Department of Agriculture still recommend three cups of milk (or dairy) per day for anyone nine and over? The likely answer comes, as it often does, in the form of money. 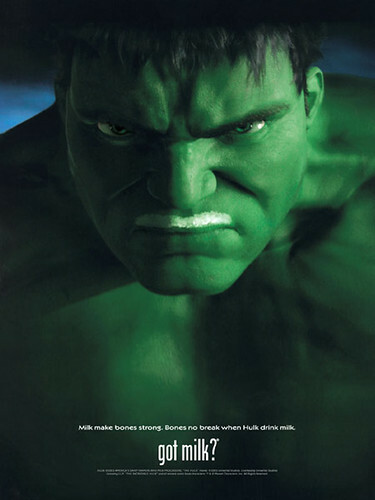 Milk is very powerful in Washington. It shouldn’t be a surprise that Big Dairy has money in Washington, but the peculiar twist in this case is the tightrope that an agency like the USDA walks, balancing between abiding powerful dairy interests, while setting the national standard for healthy diets. Back in 2010, a New York Times exposé honed in on a marketing campaign aimed to help the pizza chain Domino’s get itself out of a rut. The answer to a stagnating product, it turned out, was to heap 40 percent more cheese on top, bowing to the basic principle that the more saturated fats there are, the better it tastes. Domino’s sales boomed thanks to the $12 million campaign engineered and paid for by an organization called Dairy Management, which, as it turns out, is a marketing outgrowth of the very agency whose job it is to rein in such excesses, the USDA. Five years on, not much has changed, it seems. In 2014, the total reported amount that dairy lobbies poured into politics was $6,623,130. The favors go both ways, too. From 1995 to 2012, the federal government spent over $5 billion in subsidies to dairy programs. Since 1998, the amount of money dairy companies spent in Washington has steadily gone up, keeping an inverted pace with the plummeting popularity of products like milk that were once cultural mainstays. Following the money, a once innocuous, gently suggestive question is becoming more of an insistent thorn in lawmakers’ sides: got milk? Although the world famous “Got Milk?” campaign was retired last year, the dairy industry has shown no signs of letting up despite declining popularity. With each generation over the past few decades, consumption of fluid dairy products (mainly milk) has declined in stride: data from the USDA shows that since the 1970s , US milk consumption has dropped by 37 percent. But milk’s fading reputation could have a lot more to do with emerging health consciousness than its inability to conceive of innovative marketing campaigns.